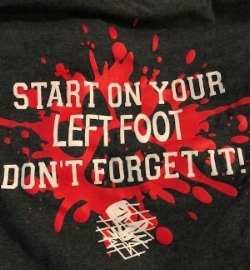 Throughout the year, we may have extra t-shirts, sweatshirts or merchandise you can order here. Scroll down to see what all we have. We also have merchandise and some t-shirts/hoodie from previous seasons available for purchase, perfect if you're wanting to make a quilt for your senior. Quantities are limited. If you prefer not to order online, you can download the order form here. 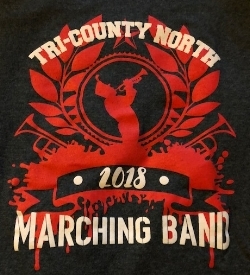 A great keepsake to remember Tri-County North! Great graduation gift! Front side is the Panther Den in the TCN gym and the back side has the TCN fight song.